OVRP is located at 305 Oakland Valley Road in Cuddebackville, NY 12729, approximately 10 miles south of Exit 113, (Wurtsboro exit) off Route 17, and approximately 10 miles north of Exit 53, (Matamoras exit) off Interstate 84. From Route 17 travel south on Route 209 about 10 miles. After you pass the Cuddebackville sign turn right onto Gordon Rd. (About 100 yds. past the sign) Follow Gordon Rd. then turn right onto Oakland Valley Rd. Oakland Valley Race Park is about one mile up on the left. 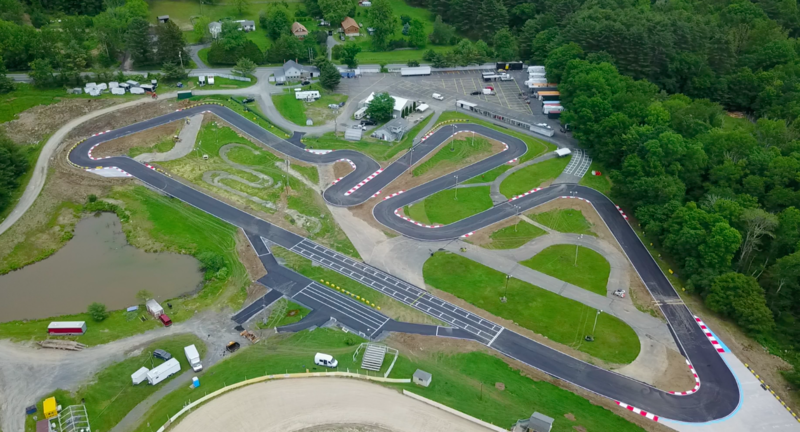 The newly resurfaced and widened outdoor asphalt road course at Oakland Valley Race Park is in its best condition ever for sprint kart and motorcycle racing; the .75 mile track is 26’ wide and features a 135 degree left hander at the end of the 30’ wide start/finish straight-away, the unique “box turn”, and the up-hill chicane are what made OVRP’s track one of the most unique and challenging tracks in the northeast. These two track features are now connected by a 180 degree hairpin turn to add to the technical nature of both the driving and the tuning for the new track. New, freshly painted curbing will add to the safety and driving experience. Safety was a top priority in the new track design. With this in mind, we have added a large paved run-off area at the end of the main straight, removed 3 light poles, and tripled the number of TECPRO safety barriers around the track. 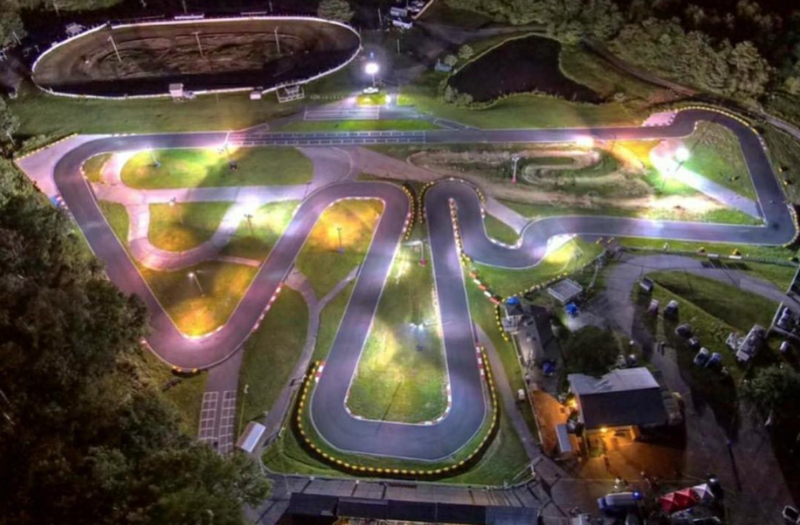 The “Oakland Valley Speedway,” a banked dirt oval, races dirt oval karts, “flat-track” motorcycles, quads, and “sling-shots.” The dirt oval sits adjacent to the road course. 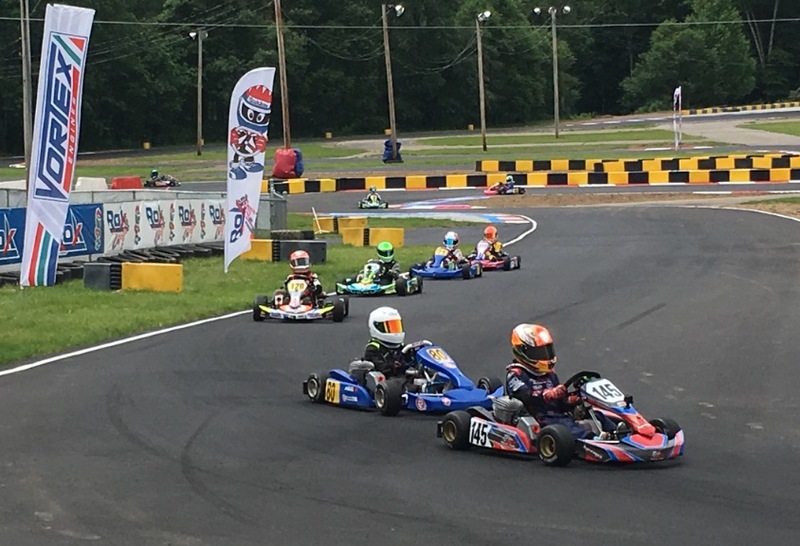 The Hannen Motorsports Race Team is occasionally away from the track to attend out of town race events, so please call the shop for any special needs: 845-754-8500. RACE WEEKENDS: Gates open at 7am. Practice sessions begin at 10am. Night races, track is available for open practice from 10am, official practice begins at 3pm. For dates and net info, see our calendar, click here. SERVICE & RETAIL SHOPS: Open from 9am-6pm on weekdays, and race weekends. Please call before visiting for shop service, OVRP Race Team/Staff is occasionally away attending out of town race events. RACE WEEKENDS: Gates open at 8am. Practice sessions begin at 10am. Night races, track is NOT available for open practice in the morning, official practice begins at 3pm. For our calendar of events, click here. 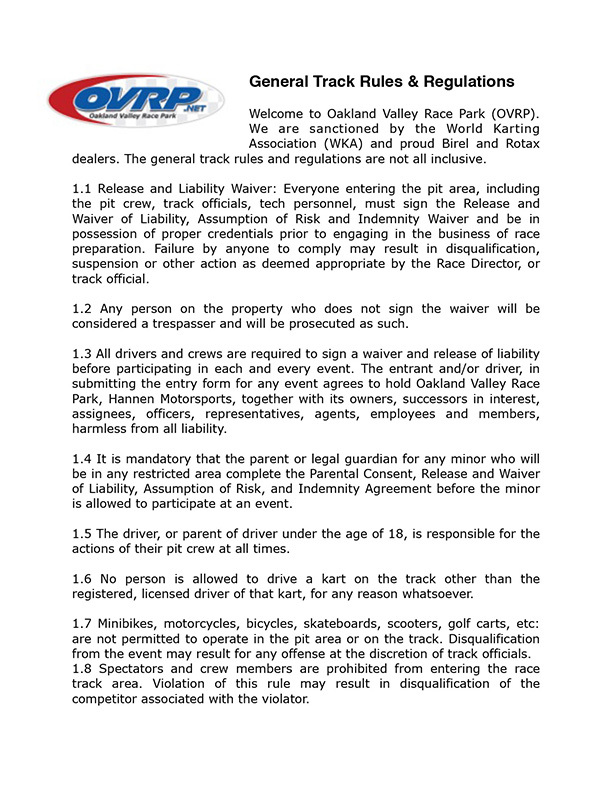 Welcome to Oakland Valley Race Park (OVRP). General track rules and regulations are not all inclusive. Everyone entering the pit area, including the pit crew, track officials, tech personnel, must sign the Release and Waiver of Liability, Assumption of Risk and Indemnity Waiver and be in possession of proper credentials prior to engaging in the business of race preparation. Failure by anyone to comply may result in disqualification, suspension or other action as deemed appropriate by the Race Director, or track official. All visitors must sign in at the gates upon entry or in the shop & sign a Release of Waiver & Liability.